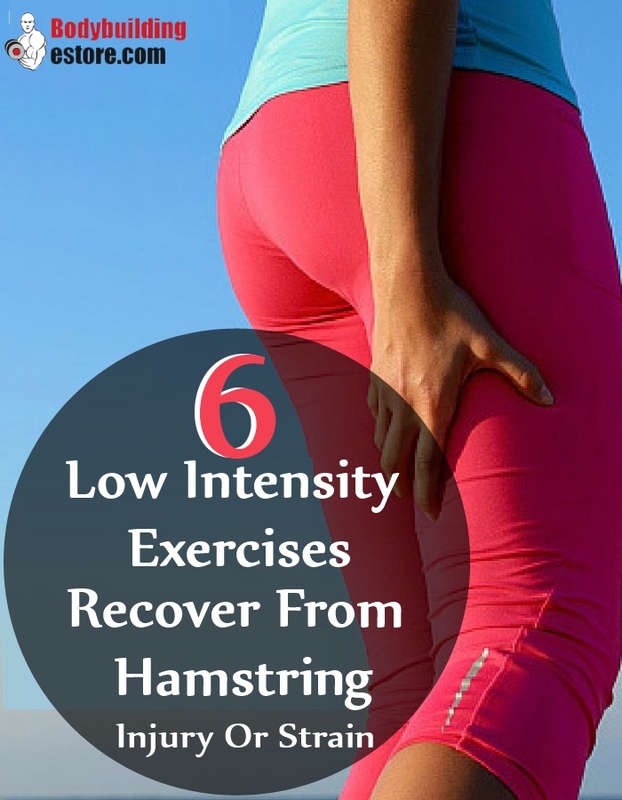 Hamstrings are one of those muscles which tend to get the most injured or sprain. In case of injury or sprain, first and foremost, you should get in touch with your physiotherapist or Doctor. Based on the person’s recommendation, you need to start with light exercises which help in recovering from hamstring injuries or strains. These moderate to light exercises should be done with caution and if conditions worsten, you should immediately get in touch with your Doctor. These exercises are specially created keeping in mind the injury and strain caused to the muscle. This is a simple exercise which can be done by lying down comfortably on your back. Your knees shall be bent. Your knees will be pushing your hips upwards so that they work on the hamstrings. Use your feet on the floor to push up as you start. Stay in this position for a few seconds and then lower. You need to start with 3 sets. Each set shall be of 3 repetitions. Single leg bridges can be done by squeezing the gluteal muscles as a straight line is maintained on ground. The knee is at the highest point. Start with 2 X 5 repetitions. Start by standing on one leg. You will gently bend your other leg. Gravity shall be the resistance in this movement. You should do this slowly and gently when you have a hamstring injury. Start with 3 sets. Each set shall be of 6 repetitions. You can use ankle weights which will help in increasing the load more. This exercise helps in improving blood circulation in the hamstring muscles which helps in recovery. This is a good stretch for the hamstring muscles. You need to lie down in a prone position. You need a partner at this point of the workout. Your partner shall offer resistance as you will contract your hamstring muscles. Stay in this position for at least 4 seconds and then relax. The knee flexion angle is to be changed and the movement repeated. The different range of angles are usually worked on during this stretch. The entire process is repeated. The first foot is usually turned inwards first and then outwards. This exercise helps in relaxing the inner as well as outer hamstring muscles and helps to quickly recover. To do this exercise you will need one box. You will rest your elbow on the box and then alternate each leg by simply putting your heel on the ground. You need to have a good core stability for the workout. Your hips and the shoulders should be still as you workout. As the heel goes close to the ground, your hamstrings and gluteal muscles will be working isometrically. This will help in stabilizing the body and maintaining balance. This movement shall also help in building flexibility and improving circulation. This will help in recovery from injury and rehabilitating soon. If you feel any pain during the movement, you can stop the exercise and try later. For this exercise, you will be doing a basic lunge as you hold on to a ball for balance. This exercise helps in recovering from strain to the glutes and hamstring muscles. It also extends the quadriceps muscles and helps in building flexibility. To do this exercise, start by standing with your injured leg wide just in front of your other leg. You shall hold on to a medicine ball. This ball shall be close to your chest and the weight shall be shifted to your front leg. Your back knee shall be bent and slowly drop towards the floor. However, you need to remember, that you will never exert too much pressure or strain yourself. This is an easy exercise and can be done by beginners too. It is less strenuous and can be done any time of the day. Start by leaning your back against the wall. You will slide into a squat position and make a 90 degree angle with your knees. Your thighs shall be parallel to the ground. Keep your back completely flat against any flat surface. Your arms and hands shall be off the legs. Hold on to this position and with the pressure of the back, which is against the flat surface, you will make an effort to support your own weight. You should increase the hold time of your position, as you are able to increase the strength of your lower body. This will help in relaxing the hamstrings and improve their flexibility.